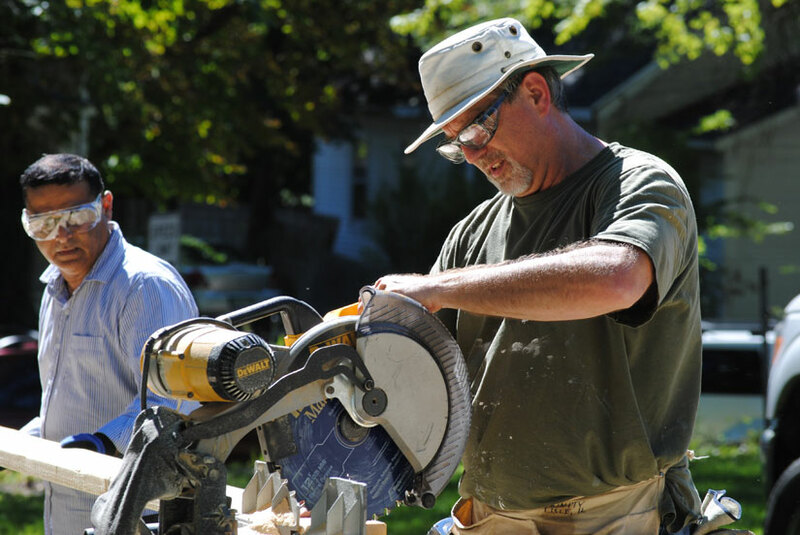 Kalamazoo Valley Habitat for Humanity builds and/or rehabilitates four to five homes in partnership with qualified families who want to own their own homes. In addition, Habitat completes 12-16 home repairs in partnership with qualified homeowners who need to maintain and preserve their homes. Habitat’s construction professionals and volunteers use the latest technology, materials, and techniques to build high quality, energy-efficient homes that are as durable as they are affordable. Habitat uses the same techniques and materials to complete repairs that preserve homes in our community. Habitat provides all of its housing solutions without profit. Volunteers complete the majority of the work under the supervision of Habitat staff construction site supervisors. All construction volunteers must be at least 16 years old. Volunteers with all skill levels are welcome. On Saturdays, volunteers meet at the Habitat warehouse between 8:00 and 8:15 a.m. Volunteers will depart the warehouse at 8:30 a.m. for their assigned work sites. Obtain directions and a map to the warehouse. All the materials, tools, and equipment you need will be provided. Feel free to bring your own tools (tool belt, hammer, utility knife, etc. ), but label everything. Wear clothing you won’t mind getting dirty and dress for the weather. Layers are usually best for weather variations throughout the day. Wear hard-soled shoes or boots. All shoes must have closed toes. No sandals. We take two breaks during the day, a morning break and a lunch break from 12:00 p.m. – 1:00 p.m.